This property is 4 minutes walk from the beach. Set on the beachfront at Carihuela Beach, and 15 minutes’ walk from the centre of Torremolinos, Apartamentos Don Pepe offers air-conditioned apartments with free Wi-Fi. Stayed here with my friend for a week in September. The apartments are in a lovely position right on the promenade in La Carihuela. Entrance is in the traffic free paved area, near to the Fountain Square. Close by, past the fountain, is a little supermarket handy for every day essentials. There are plenty of restaurants close by & lots of Chiringuitos on the beach. 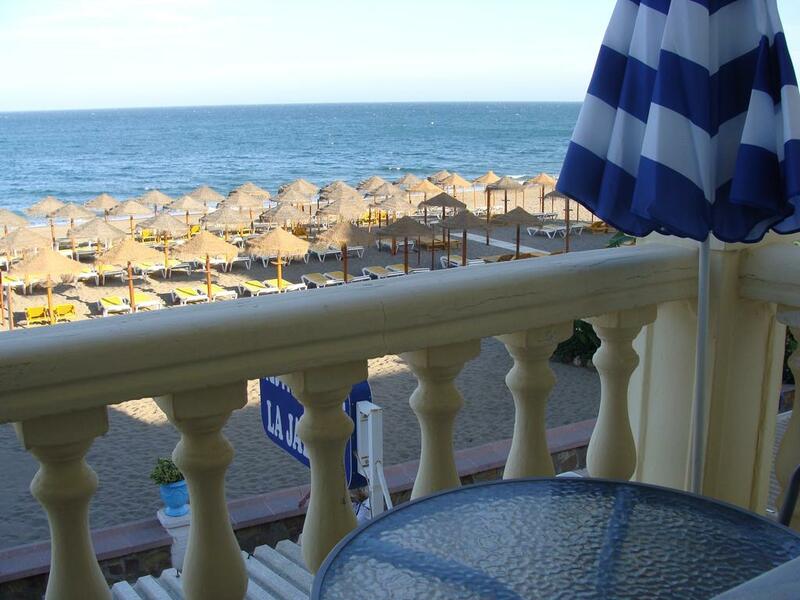 Our apartment was sea facing with a beautiful, uninterrupted view of the beach & therefore great for people watching. We had a lounge area with TV, kettle, etc. 2 single beds & most important, air conditioning! On the top floor is a communal washing machine, & roof top terrace. Was spacious & clean. There's no reception & to collect keys you need to buzz the mangers apartment. Hotel tip: Front sea view rooms.